Saying Goodbye to Dusky Camp was not easy! 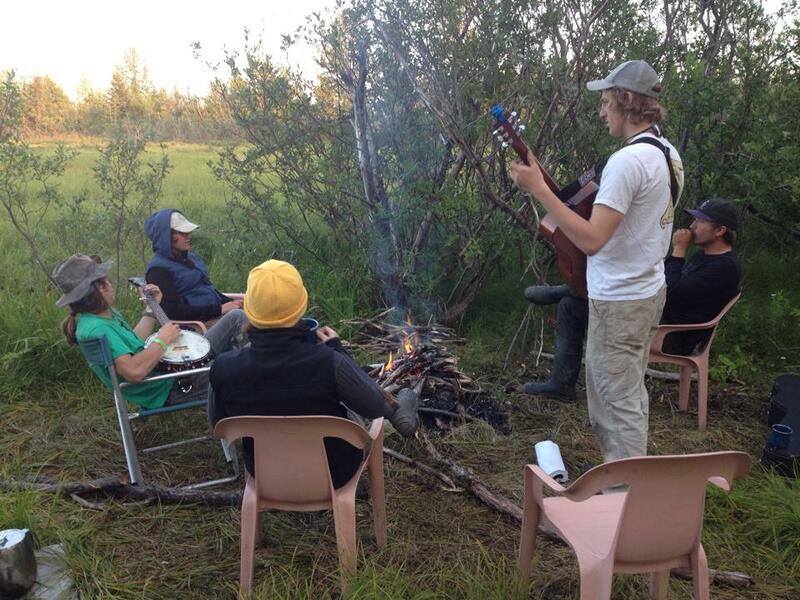 we often camped for 4-6 days in the Copper River Delta. 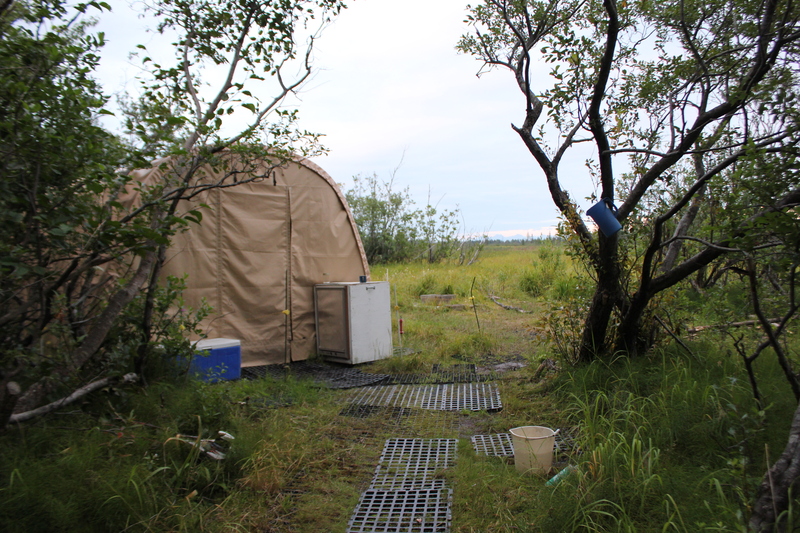 These are the weather ports and tents we called home while working in the field. I think I had some of the best sleep while at camp! I’m not sure if it was a result from the hard work during the day, or because of the rain hitting the roof of the weather port at night. Maybe a combination of both! On our last week at camp we had a few little visitors, red-backed voles! Dan (in the photo below) was surprised to find our furry friend in his snack bag where the vole enjoyed Dan’s M&Ms and other goodies. I really enjoyed Dusky Camp. We worked long days, but the work was rewarding, and the Delta was beautiful! After work each day at camp we got together for dinner. During that time we discussed our wild encounters from the Delta (if we had any), including lifers! It is hard to believe that my summer at Dusky Camp has come to an end. It was an amazing summer with an awesome group of Wildlifers! navigating through the Delta in search for Nest Islands! being surrounded by cotton grass and Equisetum!